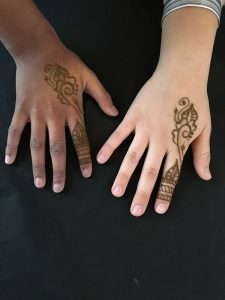 SmileyOrca has been the sole provider of Natural Henna on the boardwalk since 2015. 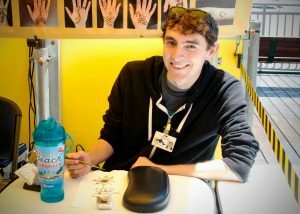 We have two Henna locations; Our main booth is located across from the Dipper Diner and has the same hours of operation as the Boardwalk. Our second booth is located across from Logger’s Revenge and operates seasonally. When you visit SmileyOrca on the boardwalk you’ll have 90 options to choose from with prices varying from $5 – $30. 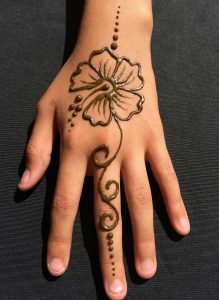 Henna can take up to an hour to dry, so it’s best for children 6 and up. We advise against riding rides while the Henna is drying.